We Shine Dormant Potentials Leading to Excellence The approach and training methodology depends upon the level of education, the position, the background of the people and the organization. The methodologies adopted include lecture sessions, use of visual aids, discussions, management games, presentation by each participant as an individual, as a group member and as a group leader. The participants are made to practice the inputs given during each session and make presentations about how these are applied in their professional, personal and social life. Through introspection, the trainees are trained to look into their action, speech and motives. This will help them to observe faults and weaknesses within themselves and correct themselves. In addition, they are trained to practice pranayama, thought massaging and meditation. They are also trained to overcome tension and worries, build up confidence, enthusiasm and determination. Each programme is unique and extraordinary. 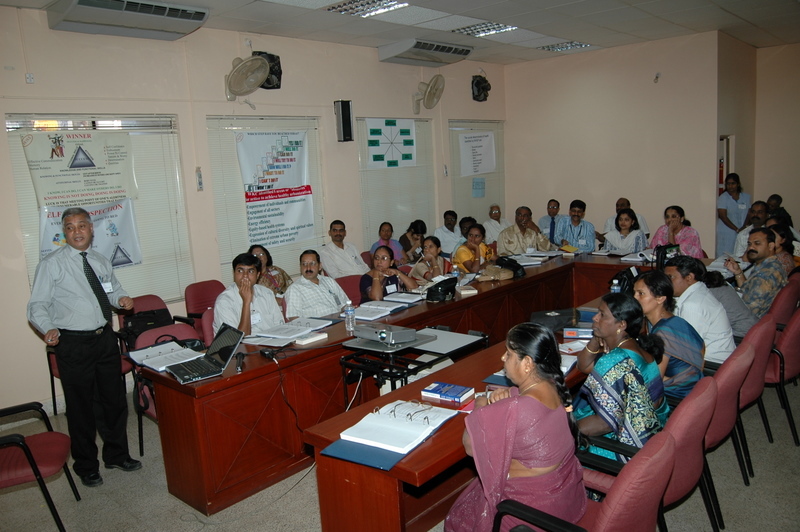 SHINE offers a unique 10-session package programme on Self Attitudinal Development. This package is based on the methodology adopted by Dale Carnegie Institute. It is vastly improved based on the works of Stephen Covey and Swami Chinmayanandaji. This programme is based on the fact that, It is better and effective to water to the roots instead of watering the leaves. Human behaviour, speech and action has its origin in thoughts and past impressions. SHINE programme bring about enormous changes in the thought process and has hence passed the test of time. The programme is based on the mahamantra " KNOWING IS NOT DOING, DOING IS DOING ". It makes people DO and NOT merely KNOW.These are very practical sessions which ensures that the participants sharpen their attitudinal skills like Effective Communication, Memory & Human Relations. SHINE also offers short-term courses in various skills.SHINE Personality Development is a unique programme wherein each participant is personally trained, made to practice both in sessions and in work, family and social situations. The programme beautifies the inner personality of the participant. There is a stipulated Training Structure in which details of each session is incorporated. The programmes are conducted in English and in Kannada. Sri. G.N.Seshadri, the founder-director of this organisation is one of the pioneers in this training industry. His communication and inter-personal skills vouch for it. The spiritual blend in the training methodology not only trains people to gear up for success in the industry, but also face the world in every walk of life.